Some folks refer to the prayer said at meal-time as “grace”. In our family, we always called it “the blessing”. Blessings are sometimes spontaneous prayers, but many times, they’re the memorized ones that we learned in our childhood. This is the one that was said in our house when I was growing up. It’s simple, easy to learn, and meaningful even to a child. God is great, God is good. Let us thank Him for this food. By His hand, we must be fed. Give us, Lord, our daily bread. Dear God, make us truly thankful for the blessing we are about to receive. 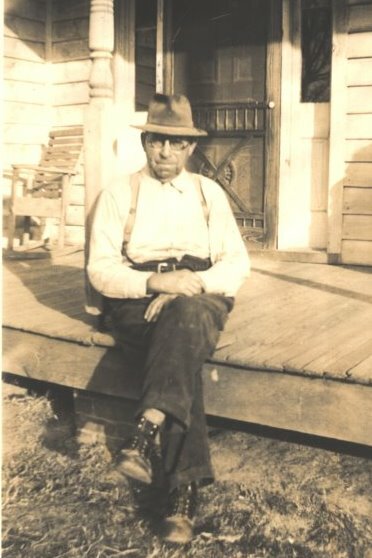 My Granddaddy died before I was born, but I remember hearing that he always said the blessing before meals. So a few days ago, I contacted one of my cousins to ask what blessing Granddaddy said. “Bless this food and bless the cook”. Since Grandma was cooking for 14 people, I’m sure she appreciated those extra words at the end – added just for her. 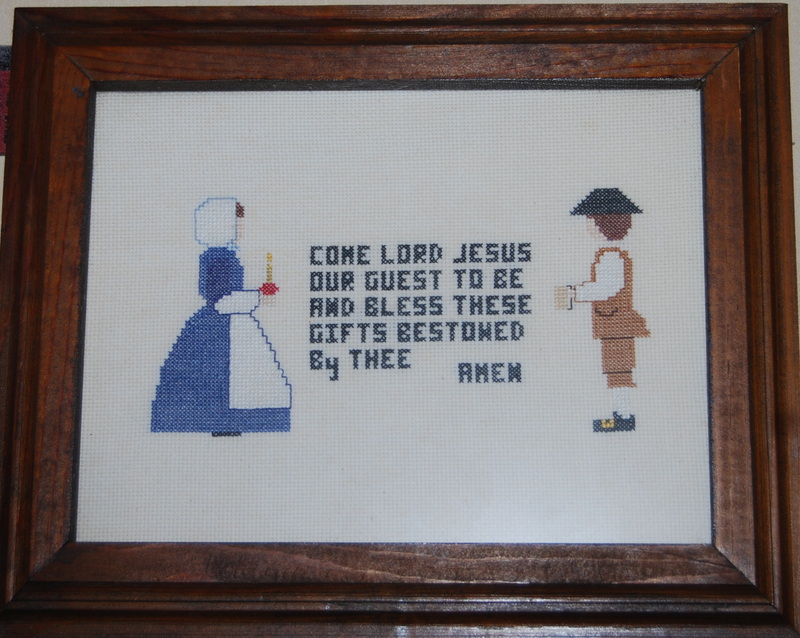 This is a Moravian blessing that I cross stitched years ago. It’s one of my favorites. I wish you and your family a Happy Thanksgiving, with many blessings. What an appropriate post for this Thanksgiving eve! With all the food and hoopla about Black Friday shopping, we tend to forget the reason we’re celebrating. I’m thankful for wonderful neighbors! Have a great Turkey Day! We’ll be spending it with Adam in Kitty Hawk. If you come down…stop in for some leftovers! My daddy would say-“Thank you Lord for the food we are about to receive and for the may blessings of this family. AMEN” short & sweet-KC is a man of few words. Happy Thanksgiving to you!